Technology Consulting Inc. is the only Authorized Infinium Solution Partner. TCI has partnered with Infinium for the past 27 years and is the largest third party supplier of Infinium Services worldwide. TCI has many years of Infinium experience making TCI an unmatched team. Our numerous consultants have Infinium consulting experience and years of product expertise. Most of our consultants are former Infor staff. These consultants boast an average of 15+ years of Infinium experience. This coupled with diverse industry knowledge, enables them to provide value to our clients immediately upon assignment. TCI has provided Infinium training, Infinium consulting, and Infinium RPG technical programming services for over 200 Infinium customers. Additionally, TCI continues to provide application and technical assistance to Infinium professional services. Managed Services allows immediate and consistent long term access to the largest Infor Infinium stable of Services Staff. For the Infor Infinium customer with minimum needs, Managed Services is a way to reduce cost of ownership by having access to expert consulting services on an as needed basis. For the Infor Infinium customers with larger needs, Managed Services can be scaled to allow TCI to become your internal Infinium experts with full time staff assigned. TCI will adjust staffing levels on demand. The key is Managed Services is scalable to fit your needs no matter how small or large. Mr. Daniel joined TCI in 2002 following a 14 year tour working on Infinium products and Infinium services starting with Aries Software which evolved into Software 2000, then SSA Global, and today is Infor. 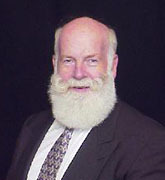 Jerry was the Director of Professional Services for North America for Infinium. 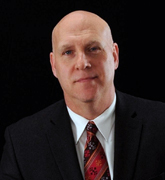 Mr. Daniel has an unprecedented 25 years of Infinium staffing management experience. This experience has allowed TCI to build the highest quality Infinium services team ever assembled. Mr. Daniel manages global operations for Professional Services, Sales and Staffing within the TCI Infor Infinium Practice. Mr. Watson has over 30 years in ERP consulting and software development industries, Rick has developed software applications and has consulted for diverse industries such as discrete and process manufacturing as well as advertising and legal. Rick joined TCI in 1999 as an Infinium consultant and is the primary architect of the TCI Barcode suite of modules developed for Infinium products. He has held positions of increasing leadership and responsibility at TCI attaining his current position of Consulting Manager. As Technical Services Manager, Rick has lead and managed a wide array of Infinium projects and consultants and has delivered quality IT solutions to the Infinium client base. Mr. Williams joined the TCI team in 2003 as Manager of the Infinium Materials Management and Process Manufacturing Services with over 28 years experience supporting these applications. Mr. Williams was formerly the Manager of Support for MM/PR applications at Software 2000 (now Infor) where he developed, supported and implemented the Infinium MM/PR suite of products. Mr. Williams in-depth knowledge of the Infinium MM/PR applications and his business expertise working with various industries make him a great asset to both TCI and the customer. Mr. Anderson has more than nine years of technical and application experience supporting the Infinium Materials Management and Manufacturing Control systems. Mr. Anderson joined SSA in 1998 after being a long time Infinium Manufacturing customer where he was the IT Manager and Programmer Analyst. Mr. Anderson supported the entire suite of Infinium products. In addition to Mr. Anderson’s nine years of Infinium Software experience he has over fourteen years of IBM iSeries and RPG Programming experience, and two years of experience with Inovis TrustedLink EDI Software. 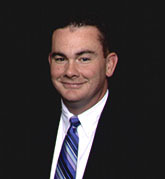 Mr. Anderson joined TCI in January of 2002. Mr. Rowland joined Software 2000 (which eventually grew into Infor) in 1987, and he has over 28 years experience supporting all of the Infor Infinium Financial Application Services. 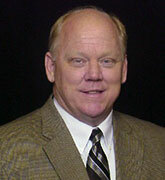 In 1990, he was the founding member of the SSA Infinium Professional Services group. He has sold, implemented and supported the Infor Infinium Financial Application Services in North and South America and Europe. 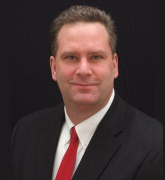 Mr. Rowland joined TCI in 2002 and is TCI’s Manager of Infor Infinium Financial Application Services. Mrs. Hilliker joined Software 2000 (which eventually grew into Infor) in 1991. 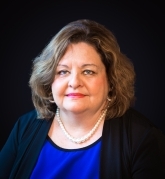 She has over 24 years of experience helping Infinium customers resolve issues. At Infor she had roles in Quality Assurance, Liaison between support and development and product training and mentoring.